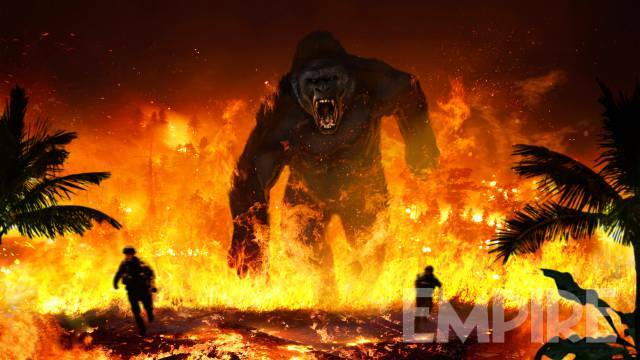 Empire has revealed this fiery concept art from Kong: Skull Island! Director Jordan Vogt-Roberts tells the magazine the movie is set at the height of the Vietnam War, when napalm was the weapon of choice. Kong: Skull Island is set to open on March 10, 2017.